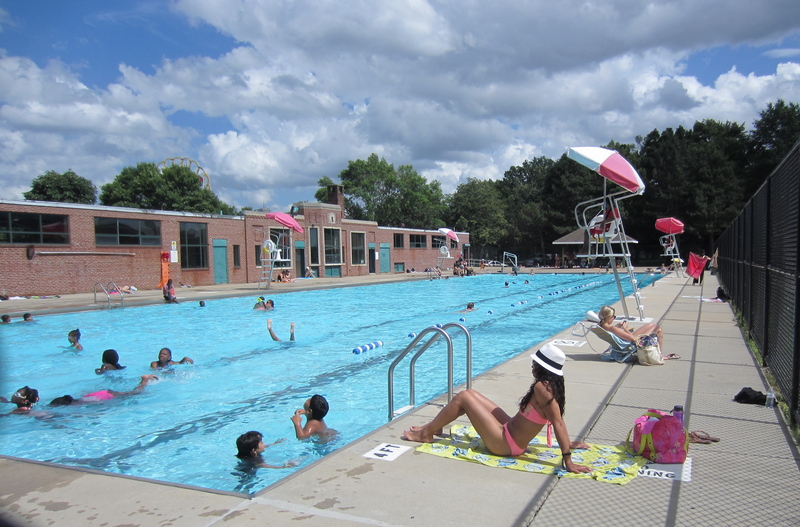 Cool off at Veterans Memorial Swimming Pool (719 Memorial Dr.)! It is FREE and open daily, 11am – 7pm, through August 25. Also, you can sign up for swim lessons for children ages 6 and up at the pool NOW. Classes will start this Monday, July 8th, with one set at 10am and another at 10:30am. Sessions will be 3 or 4 weeks long; a second set of classes will start at the end of July or early August. The water is exceptionally refreshing and what could be better than swimming outdoors on a hot, sunny day? Tip: go early or late for a quieter swim, as the local summer camps bring happy campers between 1 & 5pm each day. There is a designated lap lane, though, open at all times. 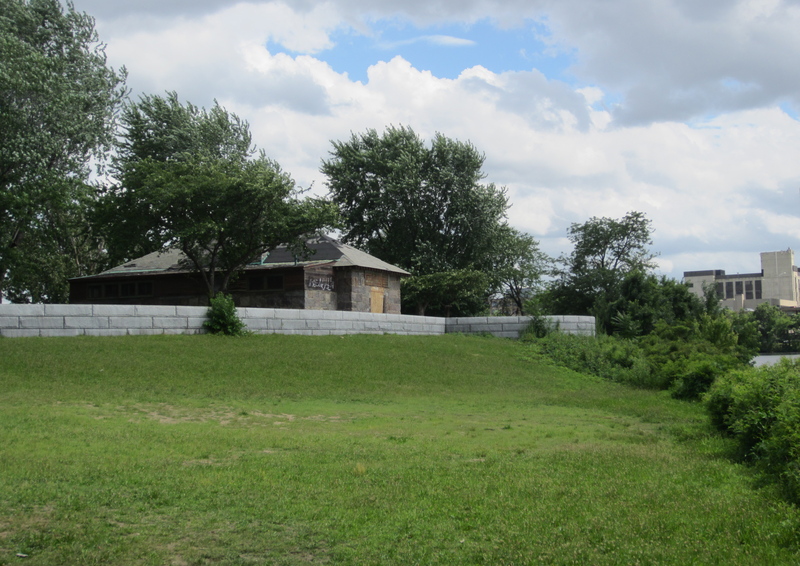 Right: DCR has moved most of the graffiti from the Powder Magazine. Thank you! 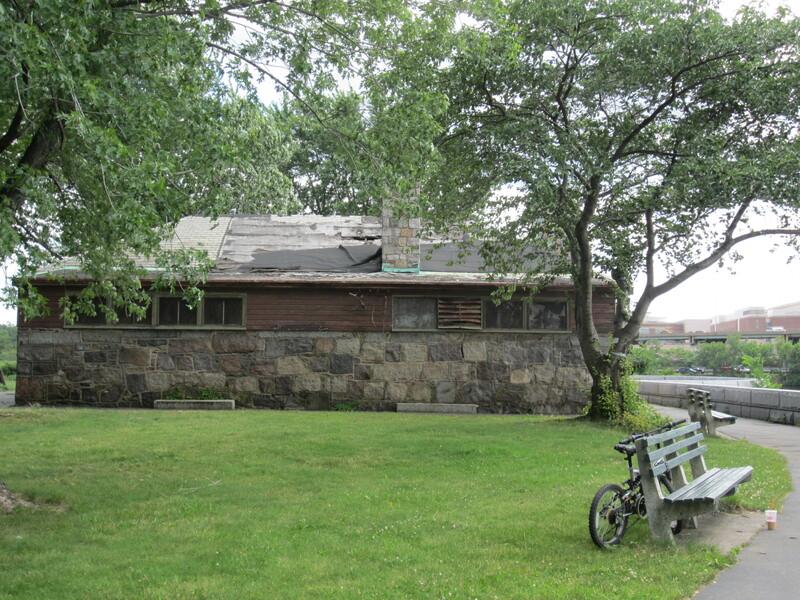 Left: Updated: The wading pool was cleaned out but DCR couldn’t get the wading pool to drain properly, so it remained closed.